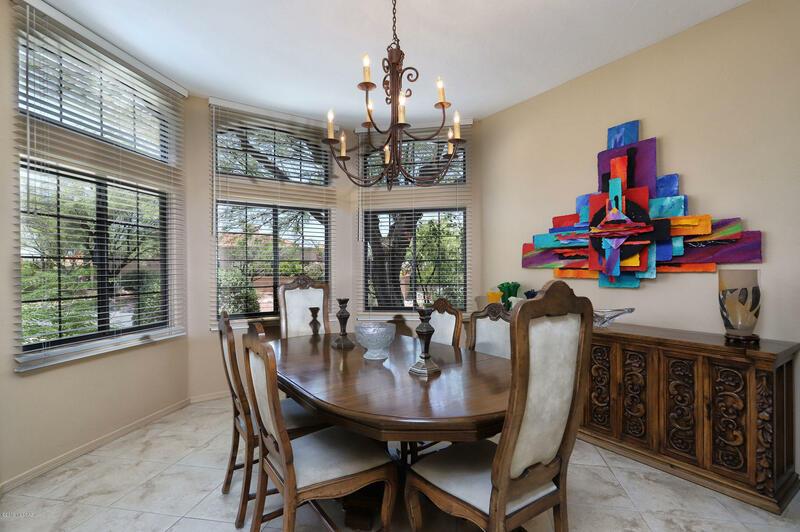 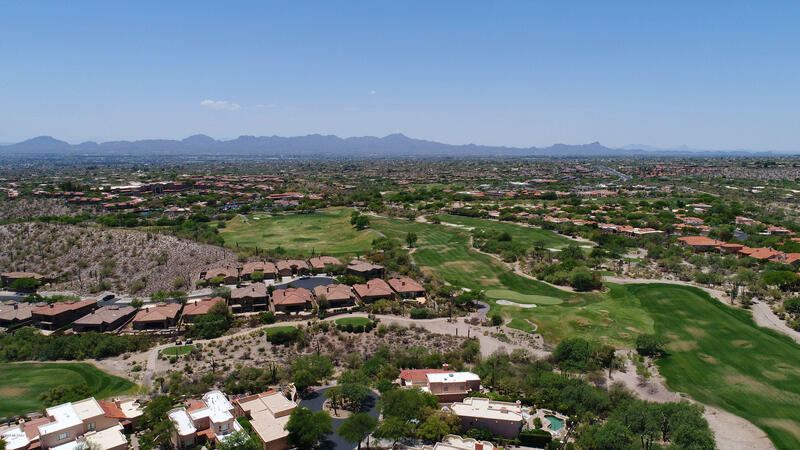 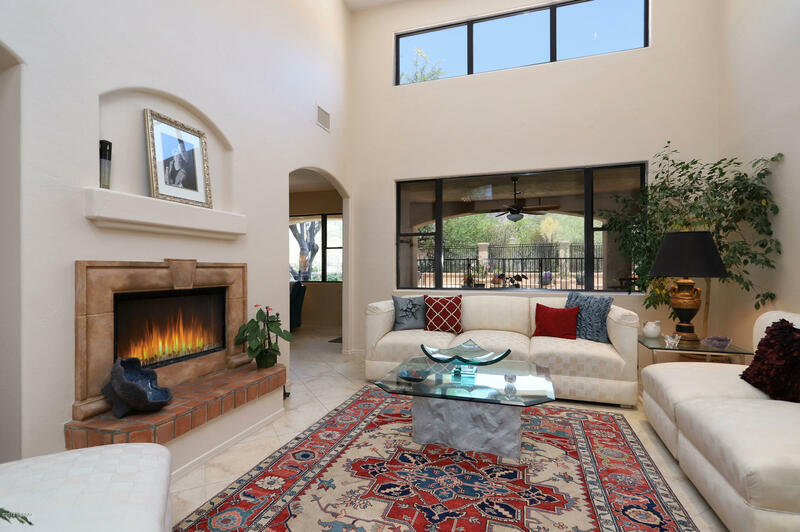 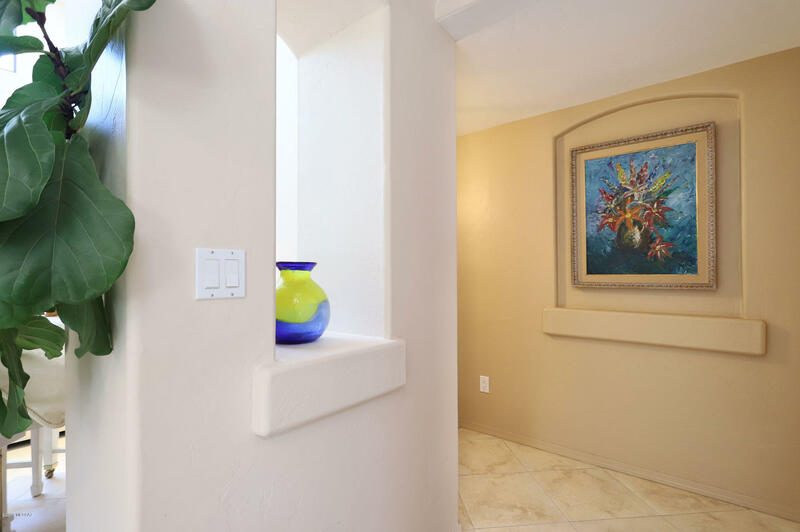 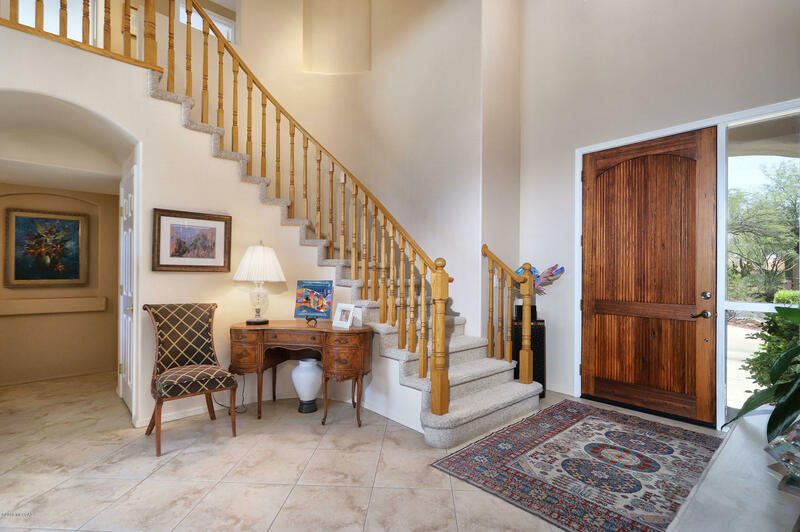 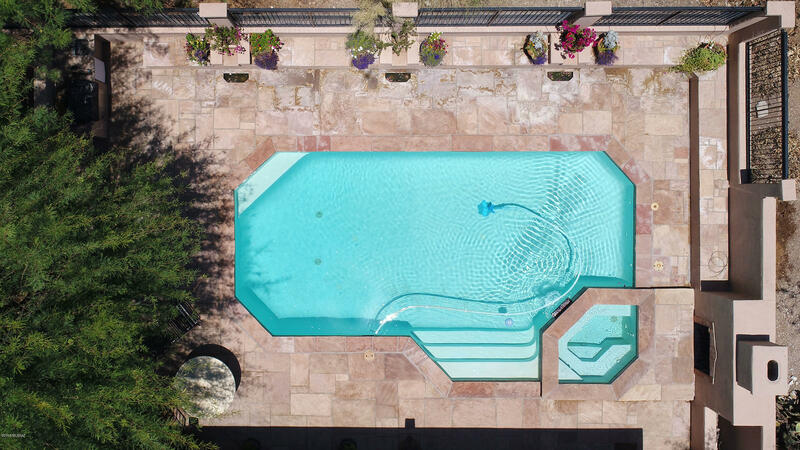 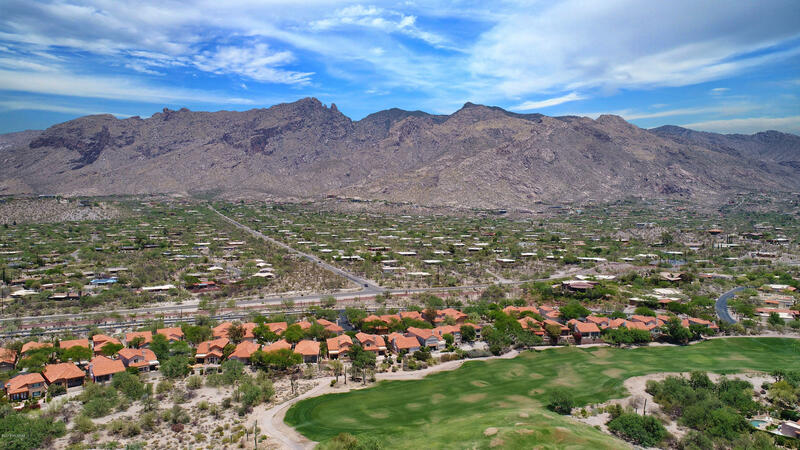 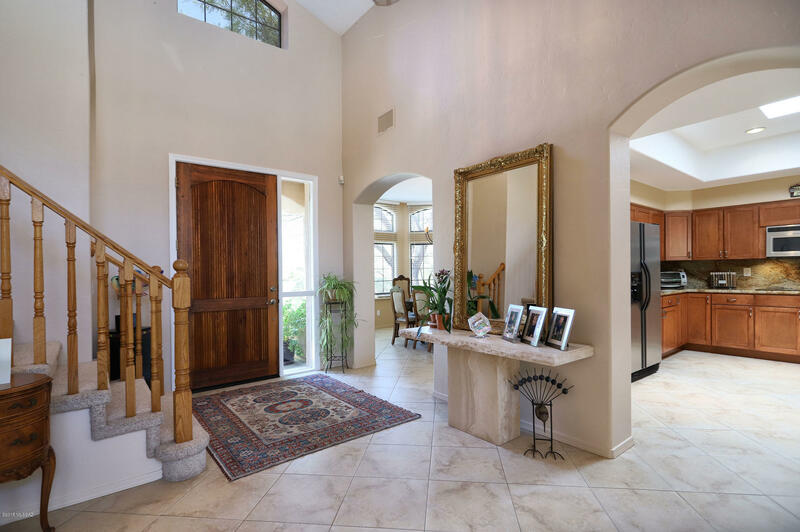 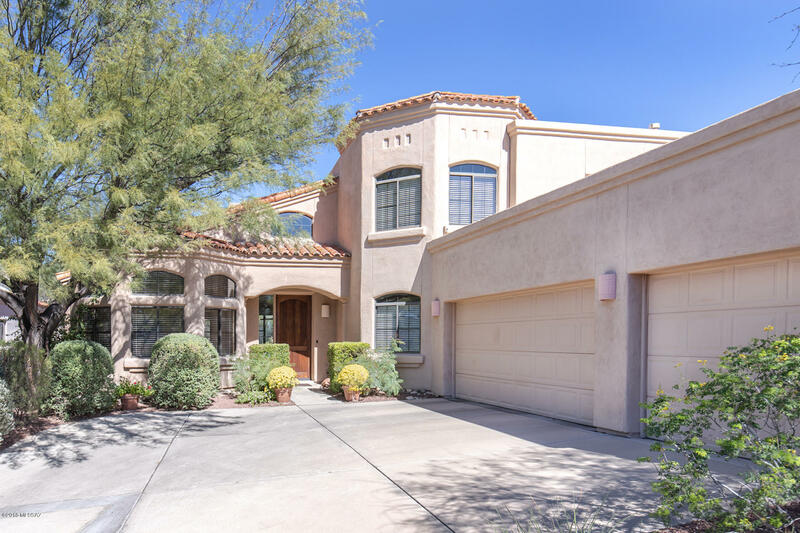 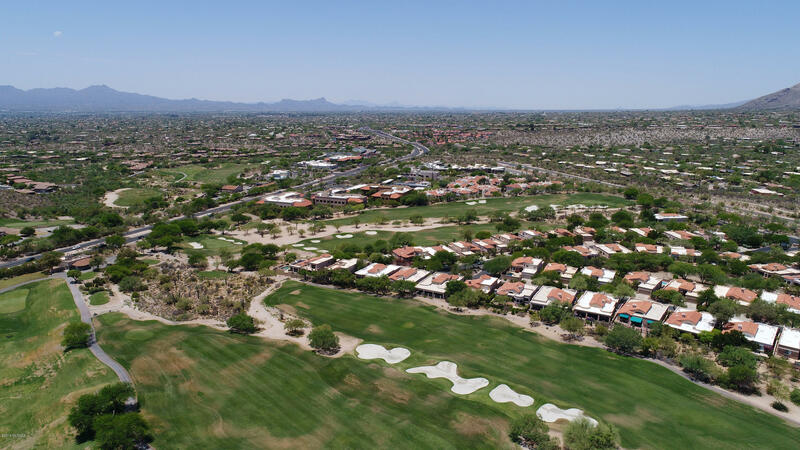 WELCOME TO PALOMA ENCANTO WITHIN THE GATES OF LA PALOMA COUNTRY CLUB. 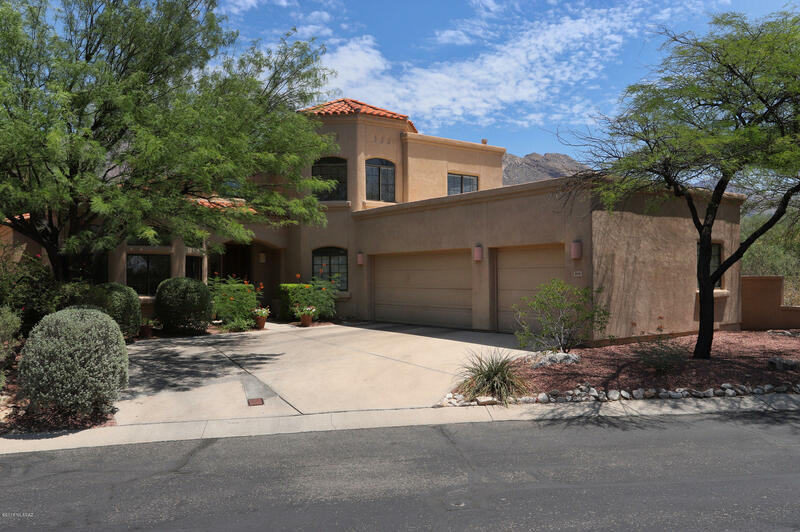 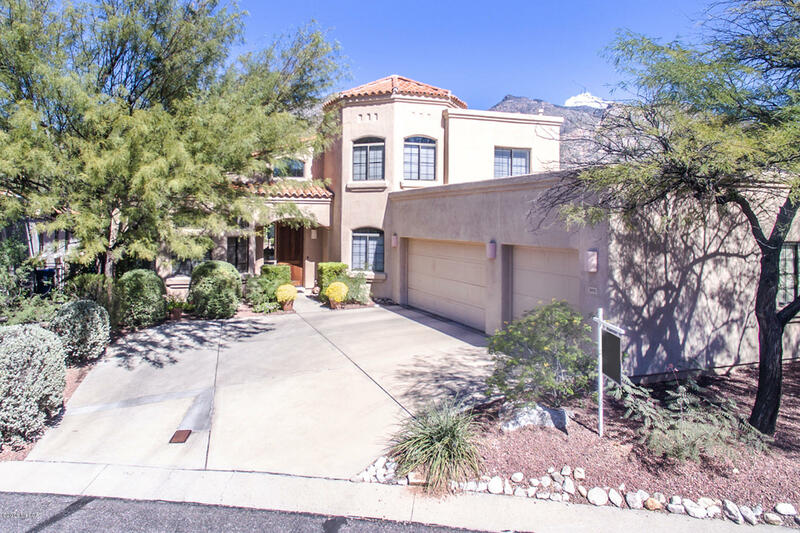 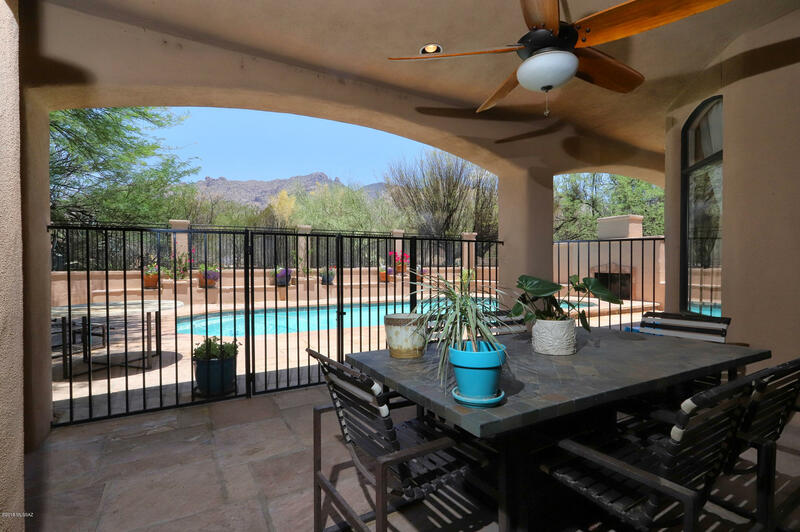 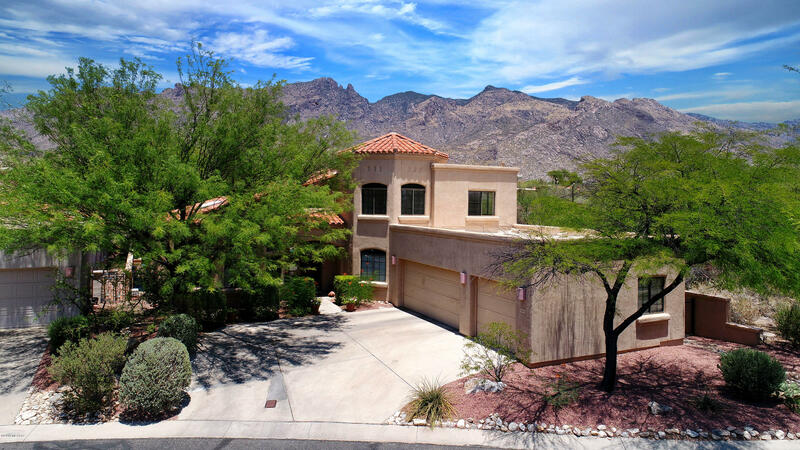 CORNER END LOT WITH NORTH/SOUTH ORIENTATION AND BEAUTIFUL MOUNTAIN VIEWS FROM THE FULL LENGTH COVERED PATIO. 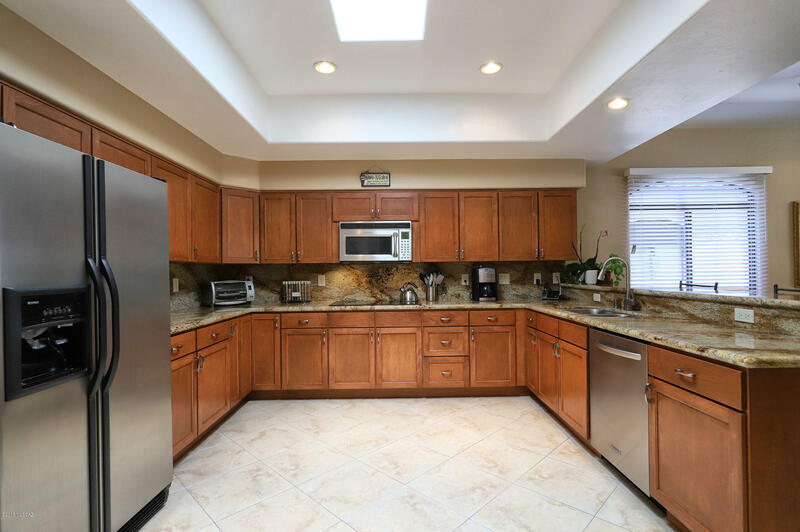 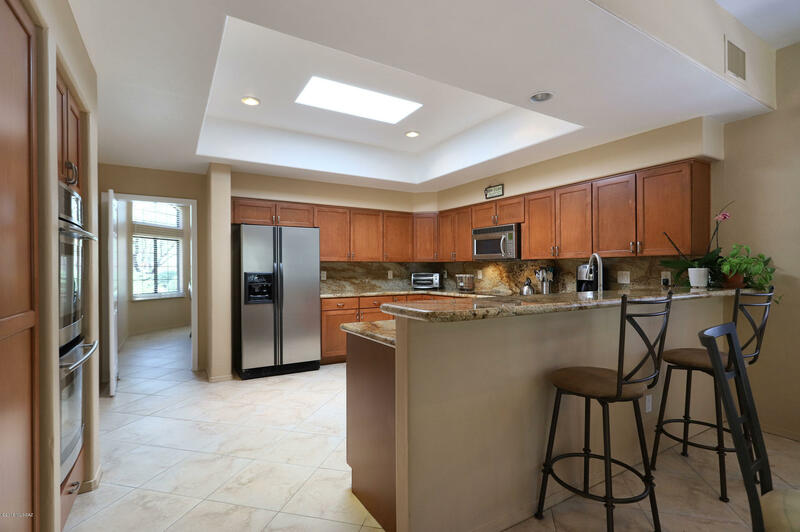 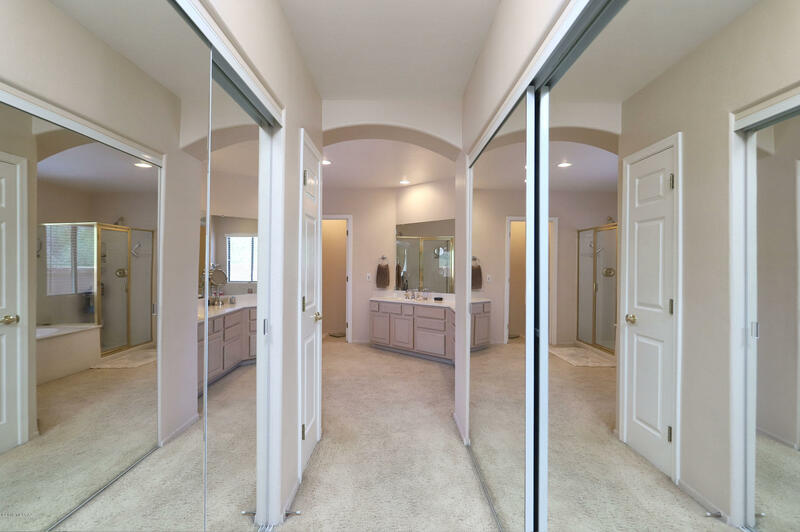 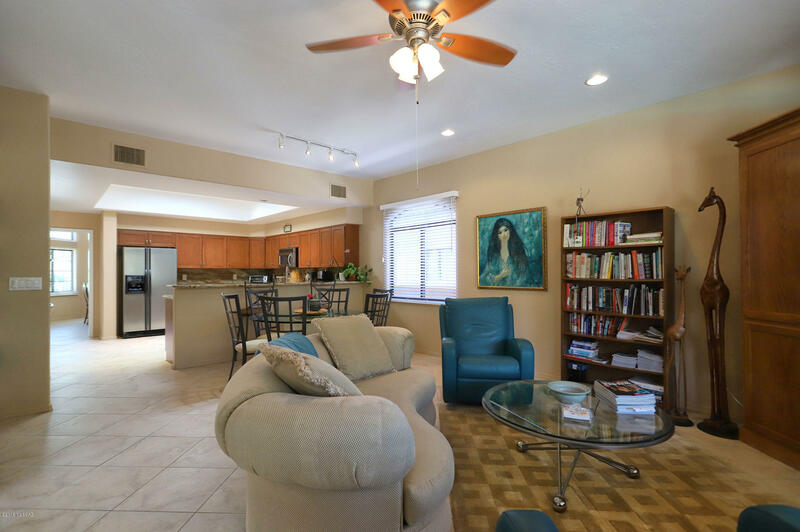 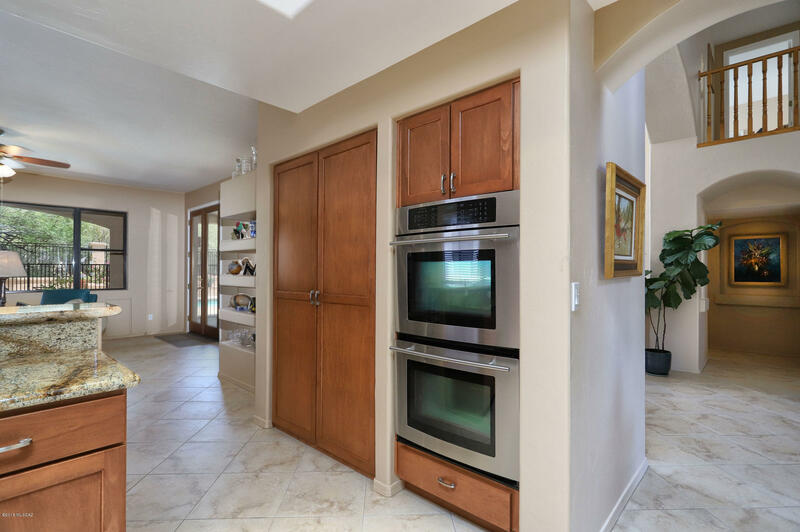 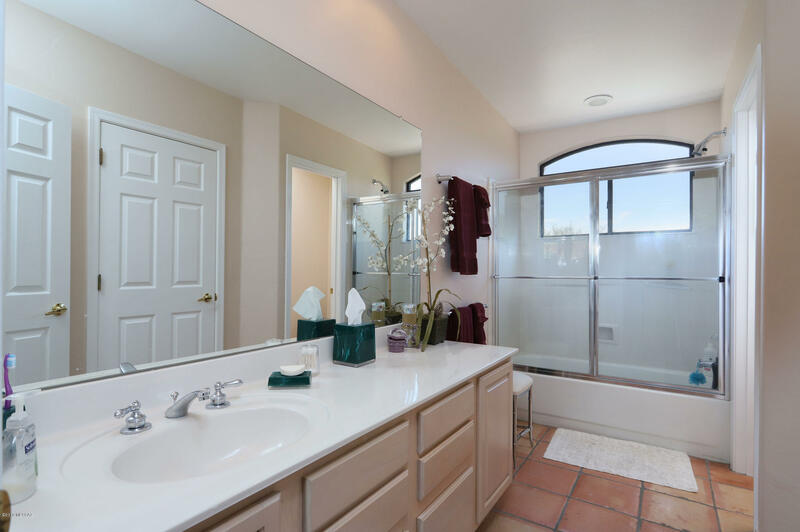 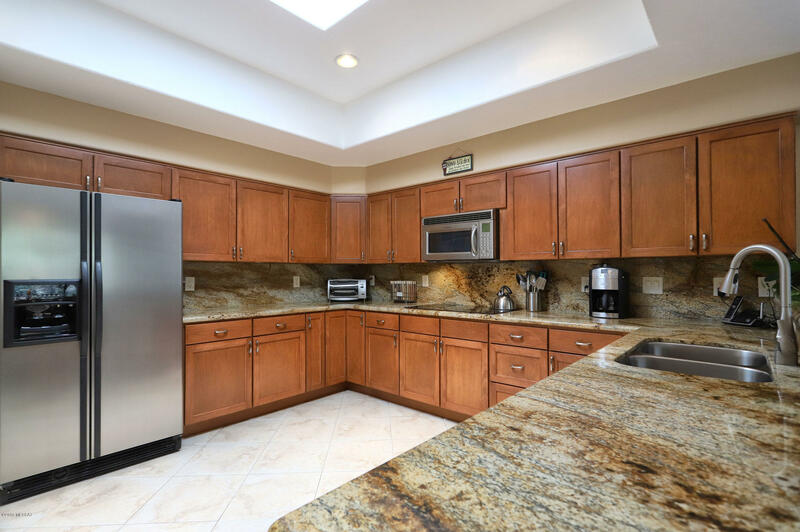 COMPLETELY REMODELED KITCHEN WITH GRANITE COUNTERTOPS & BACKSPLASH. 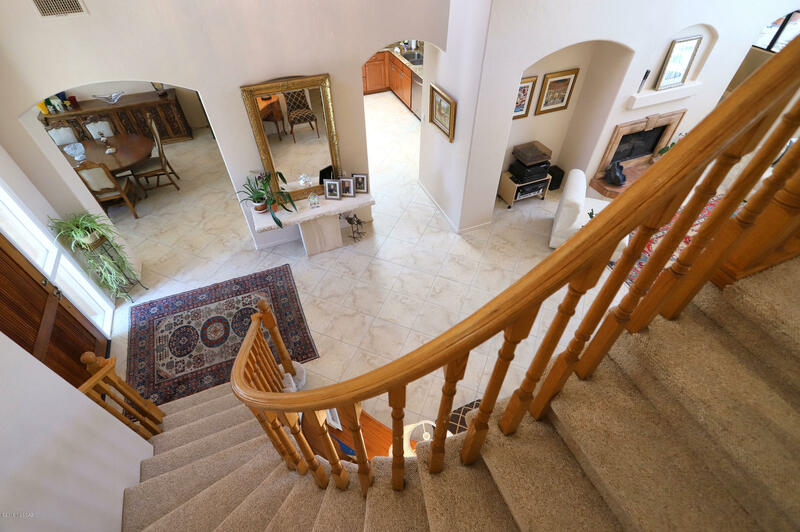 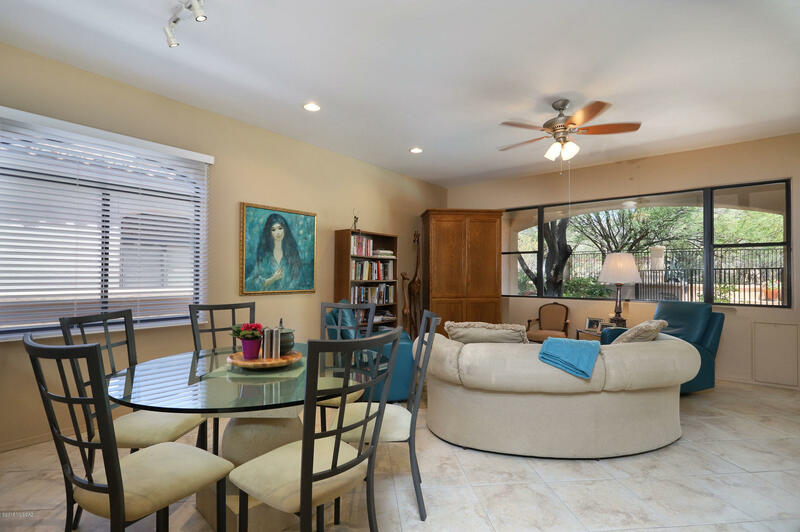 TILE FLOORS THROUGH OUT ALL MAIN LIVING AREAS. 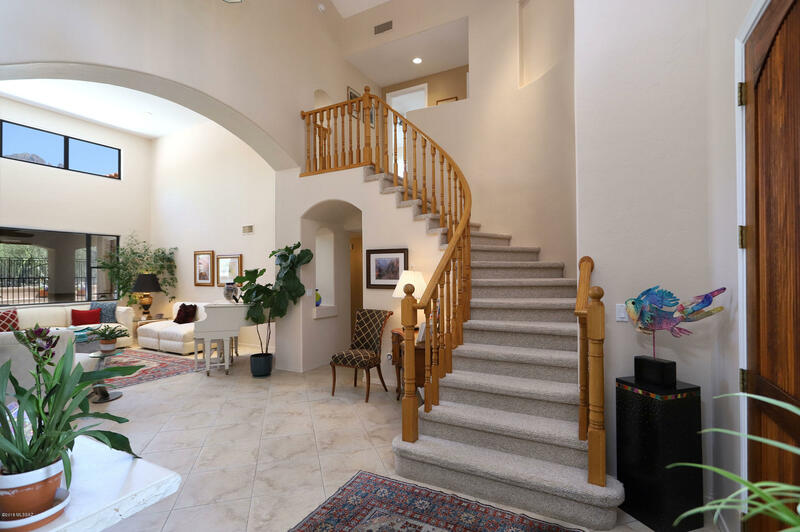 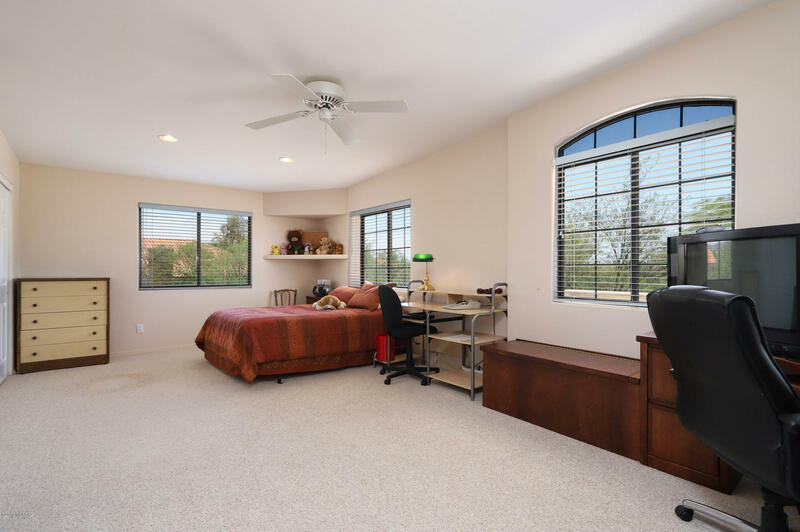 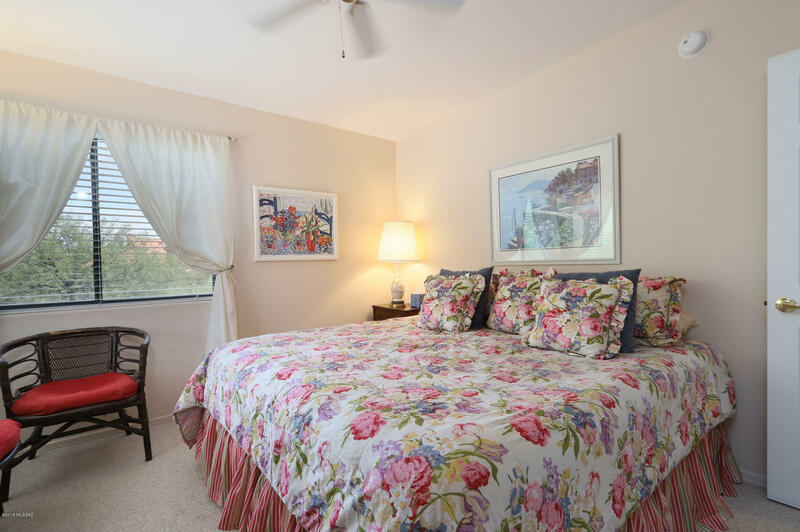 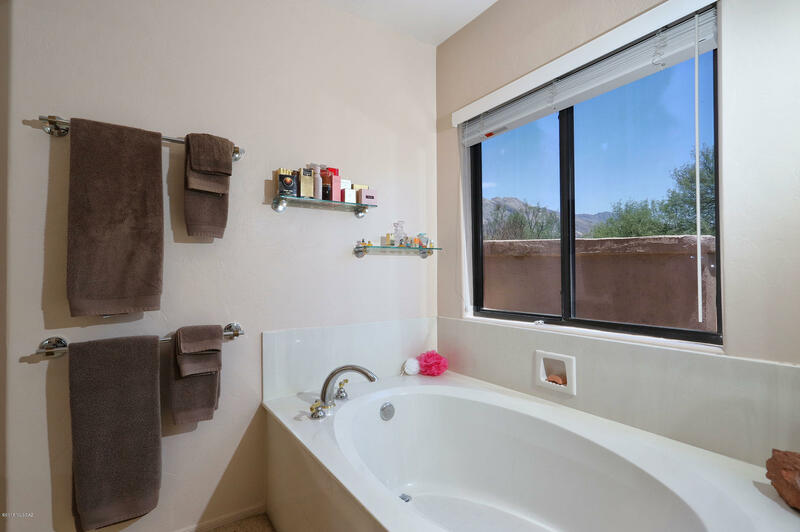 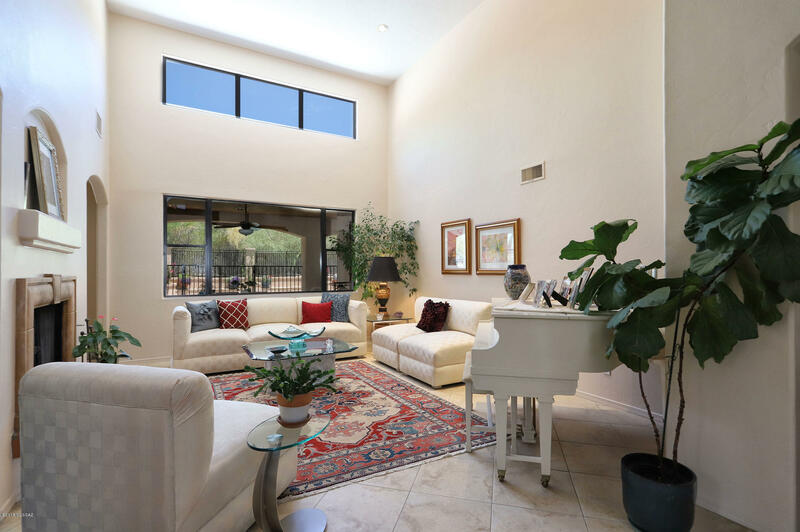 MASTER BEDROOM LOCATED ON MAIN FLOOR WITH WONDERFUL SITTING AREA WITH MOUNTAIN AND POOL VIEWS. 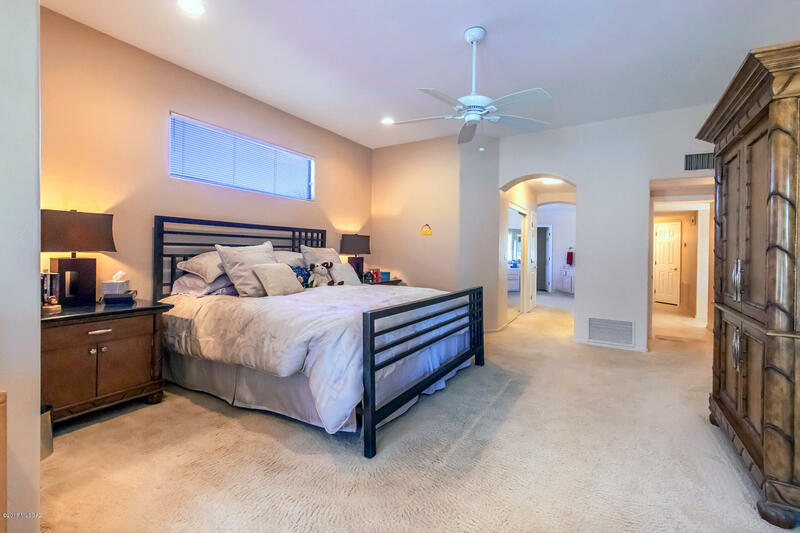 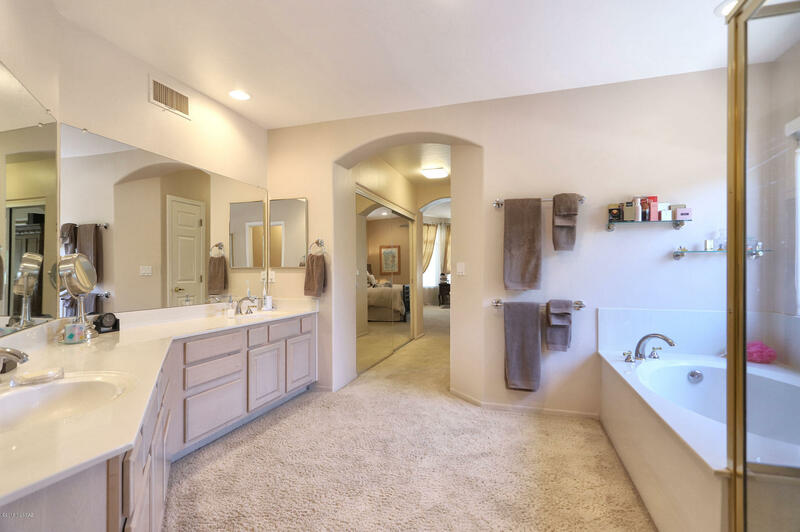 UPPER LEVEL INCLUDES EXTRA LARGE 4TH BEDROOM WITH MURPHY BED, WHICH CAN BE CONVERTED INTO 2 SEPARATE BEDROOMS FOR A TOTAL OF 3 BEDROOMS ON THE GUEST LEVEL. 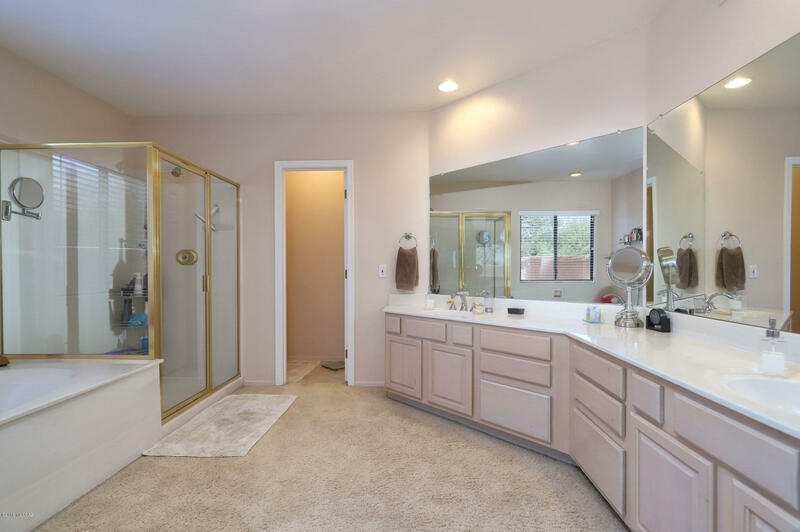 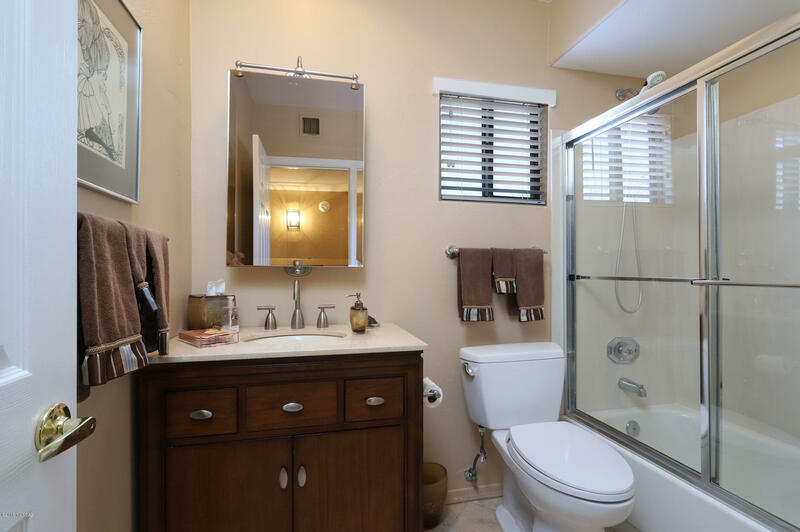 THIS IS A LOVINGLY CARED FOR HOME AND REALLY WORTH YOUR TIME TO TAKE A LOOK!